During a recent visit to CURE Insurance Arena in Trenton, NJ, a grand space filled with perfectly aligned seats was then empty. 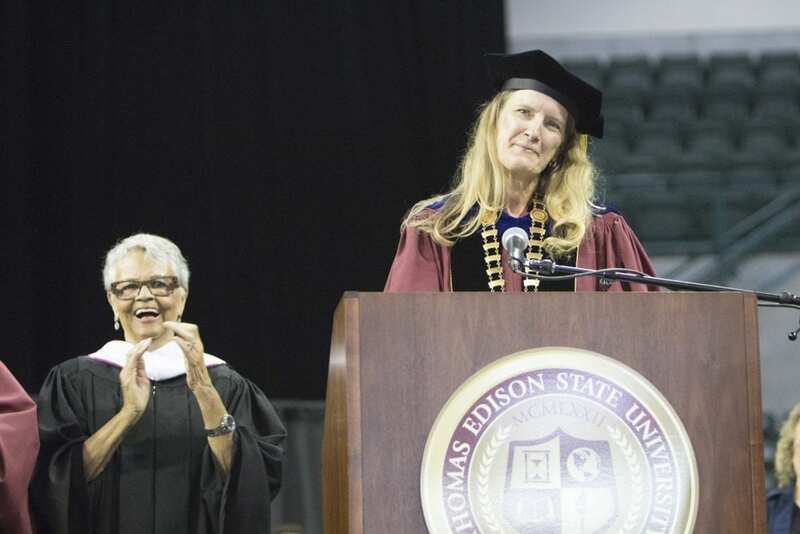 However, just days before, the space was packed with people and excitement as Thomas Edison State University celebrated its 46th Annual Commencement. During the ceremony, the university inaugurated its fourth president, Merodie A. Hancock, PhD, and recognized 10 new graduates of its inaugural Doctor of Nursing Practice (DNP) degree program. Pruitt, who served as the institution’s president for 35 years prior to Hancock assuming the role, was one of the founders of Greater Trenton. A former Greater Trenton board member, Pruitt now serves on the organization’s Advisory Committee.